Quality management software combining document and process management effectively improves the management of non-conformances and associated action plans. It also provides management tools adapted to your business problems. Non-conformance management is a requirement of ISO 9001 standards. The benefits are significant. For a production process, for example, anomalies resolved at the design stage are significantly less costly than those resolved in manufacturing, or worse, once the products are distributed or sold. Addressing non-conformances involves the implementation and monitoring of action plans, the effectiveness of which will need to be assessed. Data analytics are also essential. Ennov produces reports and automates the publication of indicators to monitor lead times and costs. These reports facilitate the QSE management process. 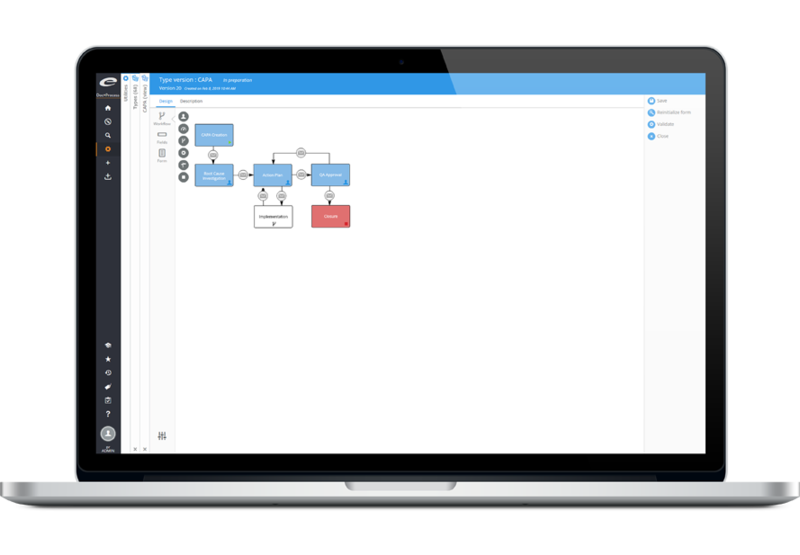 Ennov Quality management software has a complete and configurable workflow engine that automates the procedures for managing non-conformances. Ennov allows the coordination and management of scheduled, pending and completed tasks to ensure each issue is thoroughly addressed. Each user has a task list that presents the master records to be processed in either a list or calendar form. The department manager or entity manager has global views that present non-conformances classified by priority level, criticality, domain or site. The display methods and confidentiality rules are configurable. Exported non-conformance data automatically feeds business or business intelligence tools. You have real-time control of lead times and costs associated with non-conformances which is very useful when measuring the continuous improvement of operational performance. Business indicators such as the number of incidents reported per product line, the average time required to process corrective actions or the cost of non-conformances can be monitored month by month.